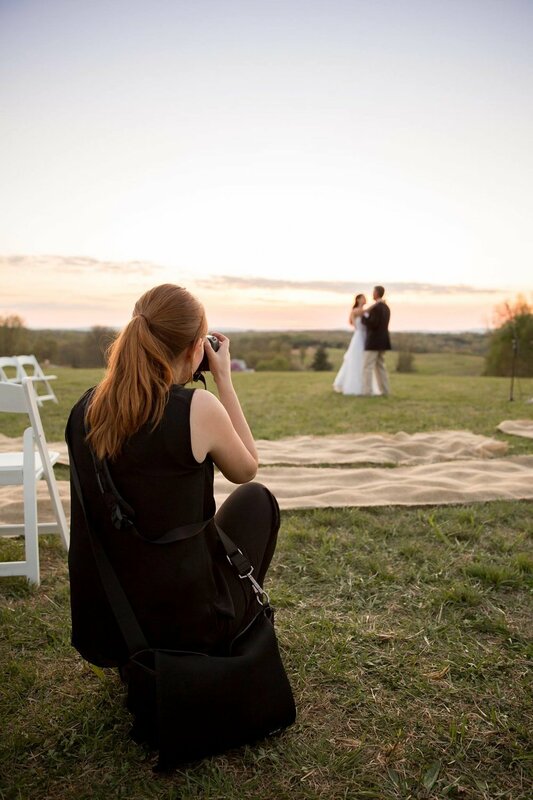 With nearly a decade of experience in the industry, I have worked with dozens of photographers in a formal coaching relationship over the past 6 years. I take on a limited number of mentoring clients per month, so I can give each my full attention. The goal is to pinpoint the areas you want to improve, and focus our efforts together there. We can work on the technical aspects of photography like exposure, lighting, metering, composition, focus, posing, client interaction, working with young children, workflow, and post-processing. We can talk about business skills such as branding, marketing, pricing, portfolio-building, selling, and creating a business plan. I can critique your images or suggest ways to strengthen your portfolio or website. For the half and full-day sessions, we actually go outside and photograph a session together, so we can practice finding the light and using it to your advantage, as well as get hands-on practice with posing and client interaction. Every coaching experience also includes access to me before and after your session, so you can ask any questions that come up as you move forward. The half and full-day sessions also include a short head shot session, so you have new beautiful images of yourself to use on your website and marketing materials. I want you to come away inspired, motivated, and enabled to produce stronger images and run a more successful, profitable business. Click "contact" above to start a conversation about where you are and where you want to go, and let me help you get there! Hourly, half-day, and full-day options are available, and sessions can be done in person or via Skype. Click “Contact” above to request full pricing information. Rachael was thorough, honest and so very generous with sharing her ideas and experience. Her advice and suggestions were exactly what I needed to take my business further. Coaching from Rachael is the best investment I have made in my business to date! Rachael provided invaluable feedback and guidance that improved the quality of my photographs dramatically and helped to take my business to the next level. She continually goes above and beyond to support her students because she genuinely cares about their success. I will forever be a huge fan of Rachaels and feel so grateful to have had the opportunity to learn from her.